The QuickSnap™ Replaceable Cat Scratcher is Best Scratcher Made! The QuickSnap™ Replaceable Cat Scratcher Is The Only Scratcher You Will Ever Need! When we bring a new kitten or even cat into our home, everything is new and exciting. And, as feline parents, we need to provide them with a bed, high quality food and a place to scratch. In fact, cats love to make their mark when they first come home (or really any time) and your furniture is their happy target! But, have no fear, the new and innovative QuickSnap™ Replaceable Cat Scratcher is the answer to all their scratching needs! What is the QuickSnap™ Replaceable Cat Scratcher? The QuickSnap™ Replaceable Cat Scratcher is a new, innovative scratcher that is not only great-looking, but also has an amazing, patent-pending QuickSnap™ feature that allows cat owners to easily snap off the old worn scratching material and snap on a fresh new replacement! What’s even better is the pads come in sisal, carpet, and seagrass, which are extremely appealing to our cats for scratching. The ability to replace scratching material is valuable for any scratching-loving family, and Feline Innovations allows cat owners to easily replace worn scratching material with one simple snap! Your cats will gravitate towards the scratcher and away from your furniture making you and your cat(s) very happy. They also have included a fun hammock underneath for your cats to rest! The QuickSnap™ Replaceable Cat Scratcher is so attractive that it blends in any home. This is, by far, the most attractive cat scratcher on the market and is so unique in design (rather than the less than desirable scratch pads and poles). The arch design is cool-looking and provides a sturdy base for cats to scratch against, play under, or even lay on top of. There is an added trim at the peak of the arch which gives it a subtle, yet sleek, hourglass effect when viewed from the top. This is one classy scratcher! The base is made with a high quality wood finish. The classy shade of the wood makes the QuickSnap™ Cat Scratcher stand out from the rest and blends in nicely in any apartment or modern home. Did we mention how durable the QuickSnap™ Replaceable Cat Scratcher is for our feisty felines! Designed with a full, 1.5 cm thickness in order to give it that extra bit of sturdiness, The QuickSnap™ Replaceable Cat Scratcher can handle any size cat or anything they decide to toss at it. The scratcher will also be the first and only scratcher, you will have to buy because it’s tough, resilient and you can replace the scratch pad any time. The scratcher dimensions are: 22.5 inches (length) x 10.25 inches (height) x 9.5 inches (width). We have created a unique “hourglass shape” by tapering in the width along the arch. At the peak of the arch, the scratcher is ~7 inches wide. In metric units, that’s 57.2 cm (length) x 26.0 cm (height) x 24.1 cm (width). And ~17.8 cm width at the peak! Join their Kickstarter campaign while you can! 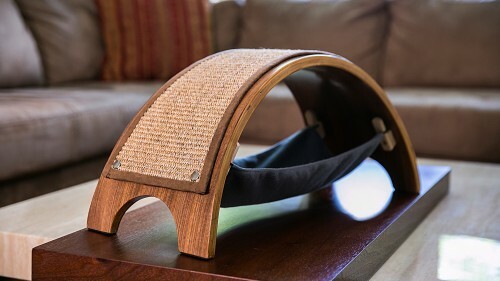 This innovative scratcher is available on Kickstarter to the first 500 backers for a special “Early Bird” offer of $25. The scratcher will retail for $59.99, so this is an incredible deal! If you are a cat lover, you better hurry up and grab this great deal! There are so many reasons to jump on their Kickstarter campaign and purchase the fabulous QuickSnap™ Replaceable Cat Scratcher. You and your cat will welcome one in your home and you will never have to buy another scratcher again! For more information about the QuickSnap™ Replaceable Cat Scratcher to sign up for email notifications, please visit Feline Innovations. 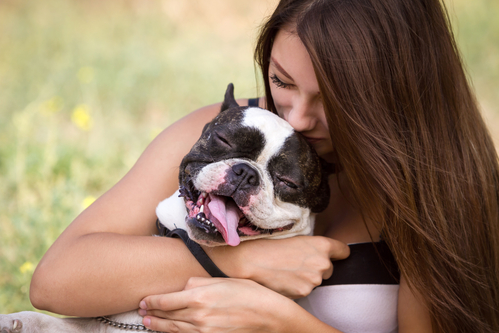 Feline Innovations was founded in 2015 to bring new, innovative pet products to market. Starting with the simple goal of making scratching easier for cats & pet owners alike, they developed the newly minted QuickSnap™ Replaceable Cat Scratcher – a removable scratching device, combining design, functionality, and reusability in one premium package. Stay tuned for exciting new developments and further Feline Innovations! FTC Disclosure: This is a sponsored post, which means that I was compensated to feature this content. Regardless of the payment, I only write articles and/or reviews on topics that I support.